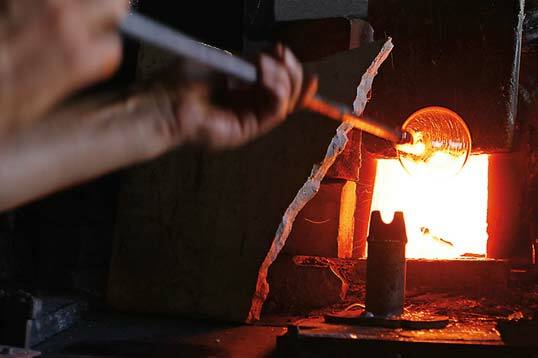 In June last year I spent a few days in Hebron, Palestine, meeting some of the extraordinary glassblowers who work in searing temperatures to practice their craft in the centuries-old way. Hebron, lying on a crossroads of ancient caravan routes, and with the necessary minerals nearby, is famed for its glass – as well as its ceramics and leatherwork. With the occupation – and virtual strangulation – of the city by extremist Israeli settlers life has become very difficult for these craftsmen, whose ancestors for centuries exported their wares throughout the world. With me on the trip was the photographer and film-maker George Azar who took some gorgeous photos of the glassmakers, their wares and the old city of Hebron (recently nominated for UNESCO World Heritage Status). Here’s our story about them.